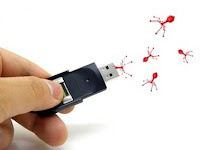 Autorun Eater is freeware app which monitors your USB ports and alerts you when a USB contains an autorun.inf virus file. It allows you to inspect the autorun instructions and files they execute and optionally ignore or remove the autorun.inf file. Autorun Eater will remove any suspicious ‘autorun.inf’ files even before the user attempts to access the drive. These files are auto-backup’ed in case of false positives. Its simple to use, Just install the app on your PC and it gets loaded in the system tray and you can scan your drives by simply clicking its system tray icon. You will also find lots of different useful options there. 3 optional registry fixes (Task Manager, Regedit & Folder options). Users are informed whenever a suspicious “autorun.inf” file is detected. Backup copies of suspicious “autorun.inf” file(s) are created before the original copy is removed for easy recovery. Status tooltip to get tool info easily without right-clicking on tray icon.